After four years of intensive development, Laundrylux introduces the world’s first line of commercial-standard small chassis laundry equipment, including a large capacity stand alone washer, dryer and stacked washer & dryer combo, all engineered specifically for the needs of demanding businesses. If your business is in the facility management / route laundry market, small OPL, or coin laundry industry, then the Crossover Series is the perfect fit. It competes against Whirlpool’s (WHR) Maytag division, Speed Queen’s division of Alliance Laundry Holdings (ALH), and LG, but the superior Crossover is truly in a class by itself. To learn more, contact the sales dept. at (800)645-2205 or call your local authorized Laundrylux distributor. 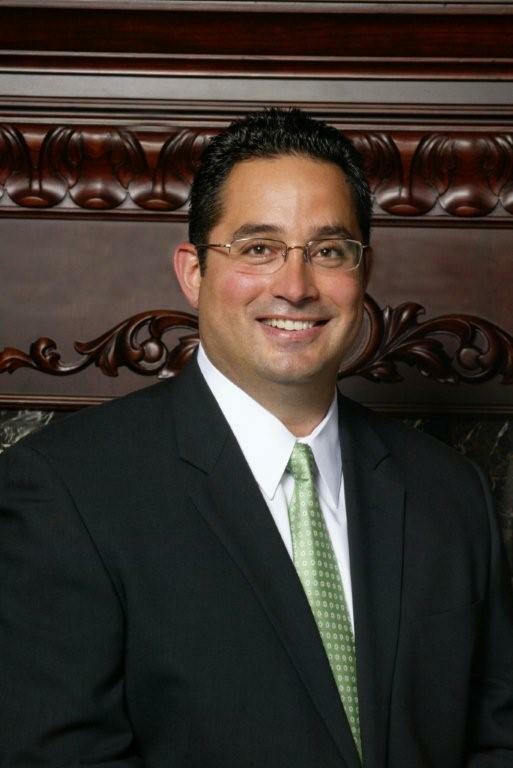 Laundrylux is proud to announce that its COO John Sabino has been chosen for a special CLA-sponsored finance panel at Clean 2011. The presentation, “The New Rules of Finance,” is scheduled for Wednesday, June 8, 2011 at 9:00am. Mr. Sabino joined Laundrylux in 2009 and is responsible for the continued growth of the Electrolux and Wascomat brands of professional coin and OPL laundry equipment. His responsibilities include managing aspects of distribution, finance, logistics, and product development. Mr. Sabino joined the Laundrylux team with more than 10 years of retail and operations experience in the coin laundry industry. Prior to joining the Company, Mr. Sabino was the President of Laundry Capital, LLC where he was involved in development, acquisition, and operation of more than 120 coin laundry superstores in New York, Philadelphia, New England, Atlanta, and California. Laundrylux introduces special new financing program! No payments until April 2011 when you buy Wascomat or Electrolux Professional Laundry Equipment! It’s the perfect time to retool your store. The special program is available to qualified buyers that take delivery of the equipment by 12/31/10, so don’t delay. 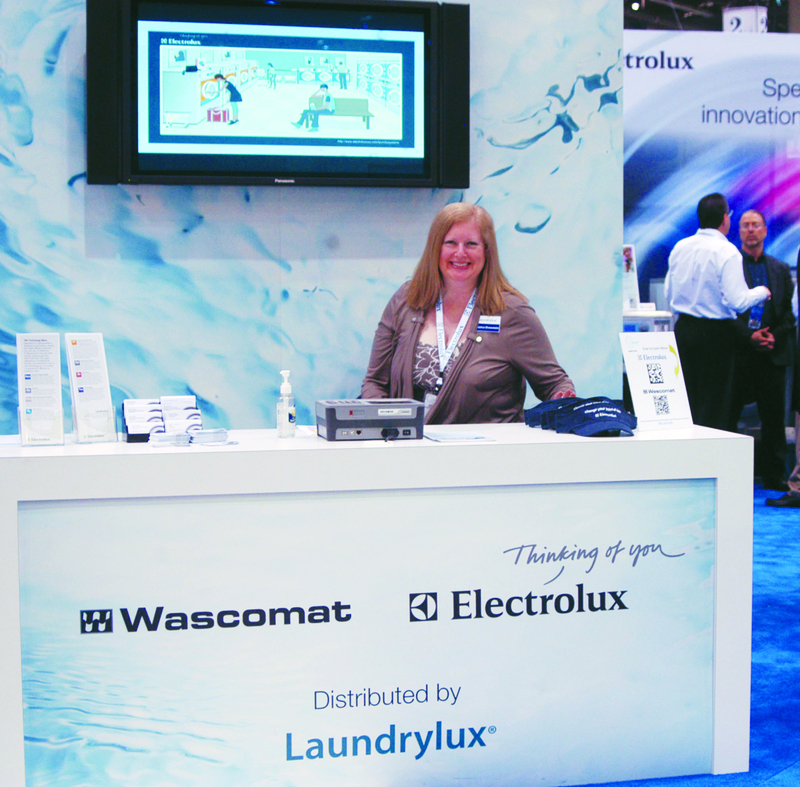 Call your local authorized Wascomat or Electrolux dealer today for details — or contact the Laundrylux sales dept. at (800)645-2205 for a dealer nearest you. Offer is subject to change without notice. All financing transactions are subject to credit approval. * We do not make any representations as to the accuracy, completeness, or timeliness of this information, and shall not be liable for any loss caused by reliance upon it. Please consult with your Tax Advisor for information. May 18, 2010 – Wascomat, the brand that first made it economically feasible to process laundry in-house, has a great reputation in the industry. It’s known industry-wide for superior products that are easy to use, durable, and long-lasting. In fact, there are 40 year old Wascomats still working today. Now Laundrylux introduces the Electrolux Professional Laundry brand to the market as well. With each wash cycle, AWS automatically determines the weight of the load and adds precisely the right mount of water resulting in reduced water consumption and energy costs. You will save water consistently with every less-than-full load, which means lower gas consumption as well since less hot water will be used. Prevents overdrying and wrinkles by automatically calculating the correct time to turn on and off the burner resulting in longer linen life and energy savings. Let’s you dial in for precise control of important functions such as water levels, wash times and number of rinses – one knob does it all. Compass Control gives you the ultimate flexibility and precise processing of your laundry. Electrolux dryers come standard with reversing drums single phase. No need to upgrade your service. Minimizes tangling and wrinkling and improves dryer efficiency. Laundrylux also introduced Pronto™ to the market – Electrolux Professional’s combo washer/dryer. This all-in-one machine is a real time saver and uses half the space of a separate washer and dryer. Load the laundry one time, then go handle other tasks while the load is completely washed and dried in one machine in just over an hour. April 19, Inwood, New York – Bermil Industries Corporation, distributor of the Wascomat and Electrolux brands of commercial & professional laundry equipment in North America, will be using the trade name “Laundrylux” in its marketing, advertising, and communications. Toronto’s major league baseball team, the Blue Jays, is headquartered in the Rogers Centre, formerly known as the Sky Dome, a playing field with a retractable “clam shell” roof. Recently the team facilities were upgraded, including the laundry, and Fabricare Canada through contacts with Ian Gibson of Ontario Laundry Systems, was invited to take a tour. The laundry has two hard-working 55-lb Wascomat hard-mount washers that extract at 300 G-force. Along with two 75-lb Wascomat electric dryers (no gas in the building) these washers do between 15 and 20 35-minute loads each per day when the team is at home. According to Kevin Malloy, Clubhouse Manager, even though team members do not need to report until afternoon, there are at least two loads of laundry ready to be washed before noon. Kevin has a staff of 7 to manage th e clubhouse. They launder uniforms and towels all day long. Each player wears a minimum of two complete outfits a day, often more, depending on the amount of batting practice or other working out they may be doing. There are 25 players on the active roster and a total of 40 on the inactive roster, plus the manager and 6 coaches. There are four different uniforms worn by the team this year. When they are on the road they wear a grey uniform. At home they have an all white for games plus a black and white and a blue and black uniform for batting practice. A large storage area holds the garments until staff distributes them to the individual lockers. The uniforms wash beautifully except for the stains when the team plays in a stadium with real grass. Kevin uses a heavy duty detergent and as a last resort treats grass stains sparingly with a bit of Yellow-Go. Forget those TV images of players sitting on wooden benches in front of metal lockers. These players have luxurious black leather chairs facing a fitted closet about 5 feet wide. In addition to hanging space for clothes and uniforms, there is a drawer for laptops, ipods and other possessions. Among other storage there is a spacious slide-out storage cabinet for toiletries and a specially fitted drawer for shoes. This drawer is constantly ventilated and sanitized. We were able to see the spa-like area where players receive massages, soak in hot tubs or whirlpools. Off this area is a full medical unit complete with an X-ray machine. Another room is full of exercise equipment of every description. And to round out the amenities there is a snack area just off the entrance to the ballpark filled with energy bars, juice, water and a drawer of bubble gum. Beyond this is a full kitchen with steam tables for serving. Many meals are donated by Toronto area restaurants. Everyone wants to see that their Jays are well cared for. This American League franchise played its first game on April 7, 1977, against the Chicago White Sox. The game was notable because it was played in an open stadium during a snow storm. It is also pleasant history for Canada because the Jays won 9 to 5. In 1992 the Jays became the first major league team outside the U.S. to win the World Series. It repeated this feat in 1993. Canadians are ever-hopeful there will be another series win in the future. Written by Marcia Todd, Fabricare Canada.